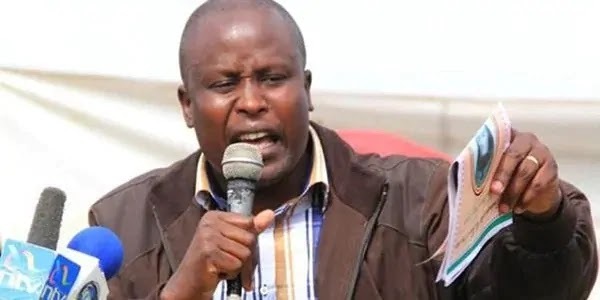 Sunday October 14, 2018-Kieni MP, Kanini kega has said the Independent Electoral and Boundaries Commission (IEBC) must be cleaned before Kenyans can be subjected to a referendum debate. Addressing journalists in Mombasa on Saturday, Kega said Kenyans have no faith in the institution and therefore it cannot be allowed to conduct any other election. The legislator however said the referendum is unstoppable since it will reduce the country’s ballooning wage bill and tax burden of the common man. “’It is foolish to imagine that you can wake up one morning and propose to reduce counties from 47 to 12, while Kenyans still have no faith in the body charged with the duty of carrying out the exercise,” he stated. He also said there is need to scrap some positions and constituencies’ in order to reduce the tax burden facing Kenya taxpayer. “We need to reduce some elected positions and some constituencies so as to reduce the high wage bill,”said Kega.